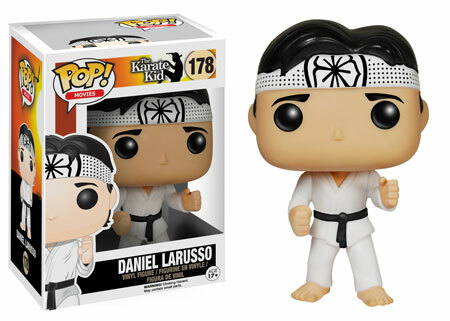 The 2015 Funko Pop Karate Kid vinyl figures might remind fans of the short-lived cartoon more than the movie they're based on, but they're something. And for fans of the Pop! line, they do have some fun about them. The line has three figures. Daniel Larusso and his arch nemesis Johnny Lawrence are both ready for the All-Valley Karate Tournament. Meanwhile, Mr. Miyagi is ready to go fly hunting with a pair of chopsticks. Numbered as part of the Pop! Movies line, each of the stylized vinyl figures stands about 3 3/4 inches tall. They don't have any articulation so any sweeping of the leg or crane kicks will have to be of the full-body variety. 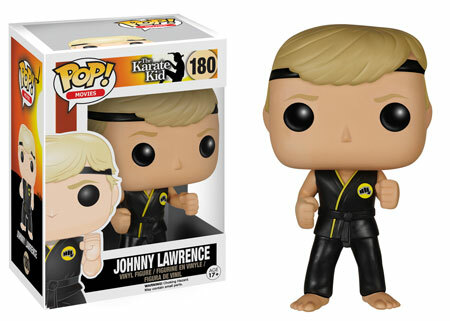 If you're looking to actually recreate moments from the movie, there are vintage figures as well as Funko's retro-themed Karate Kid ReAction figures. 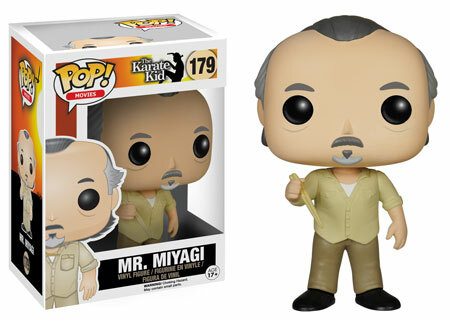 Karate Kid - Mr. Miyagi #179 (VAULTED) Funko Pop Vinyl Figure *NEW* RARE!